Picasso The Camel Recovery Key Tag - Sobriety Keychains, Key Fobs, and 12 Step gifts! Truly a unique recovery key tag! The camel is a special symbol to members of Alcoholics Anonymous! 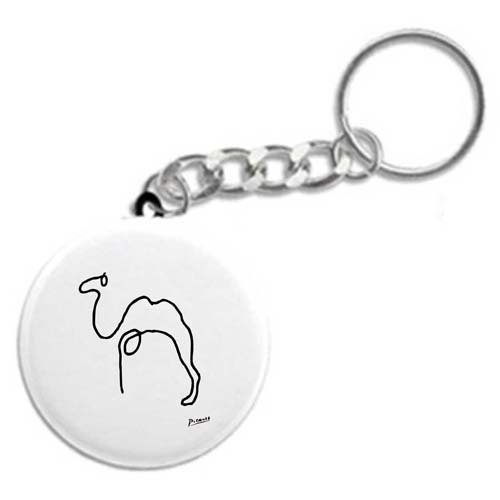 This button-style key tag features Picasso's famous "The Camel." A special recovery key tag for anyone in the program! Excellent for newcomers and old timers alike! A wonderful alternative recovery gift for anyone in recovery!